Psalm 22:19 But You, O LORD, do not be far from Me; O My Strength, hasten to help Me! 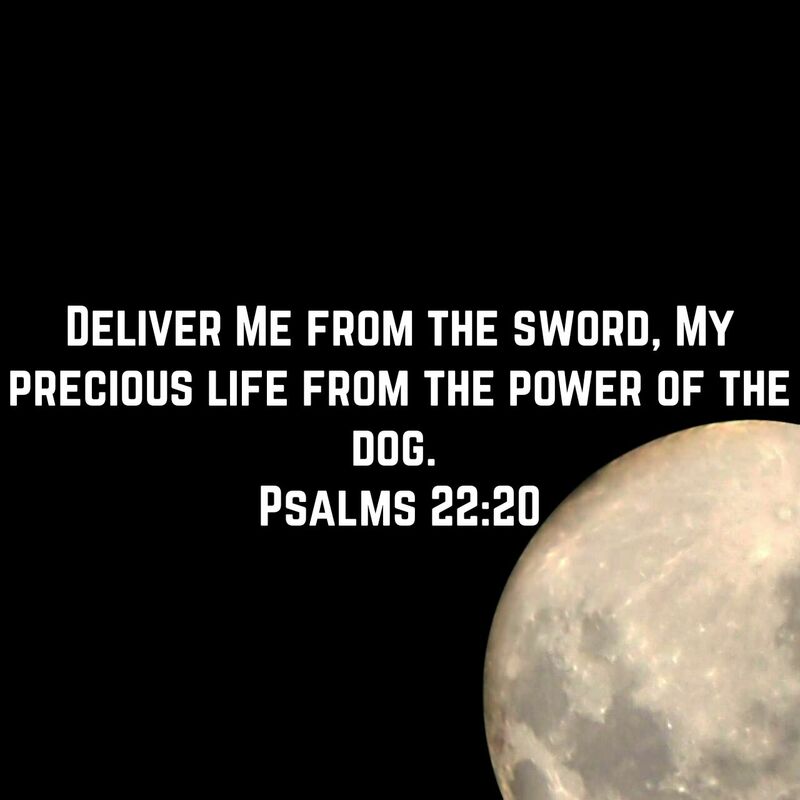 Psalm 22:20 Deliver Me from the sword, My precious life from the power of the dog. Psalm 22:21 Save Me from the lion’s mouth And from the horns of the wild oxen! You have answered Me. Psalm 22:22 I will declare Your name to My brethren; In the midst of the assembly I will praise You.